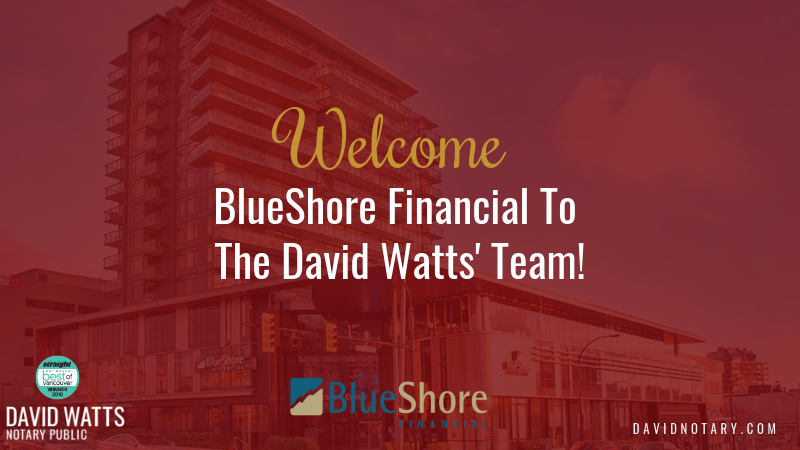 Welcome BlueShore Financial To The David Watts’ Team! We are excited to announce that BlueShore Financial is now working with David Watts Notary as a mortgage lender. It’s an exciting week for BlueShore Financial as they open their new downtown Vancouver branch, just a few blocks from our office. What we love about BlueShore is they aren’t your average financial institution – they think differently. One example of this is they have built a unique Financial Spa® which designed to create a calming and relaxing environment. 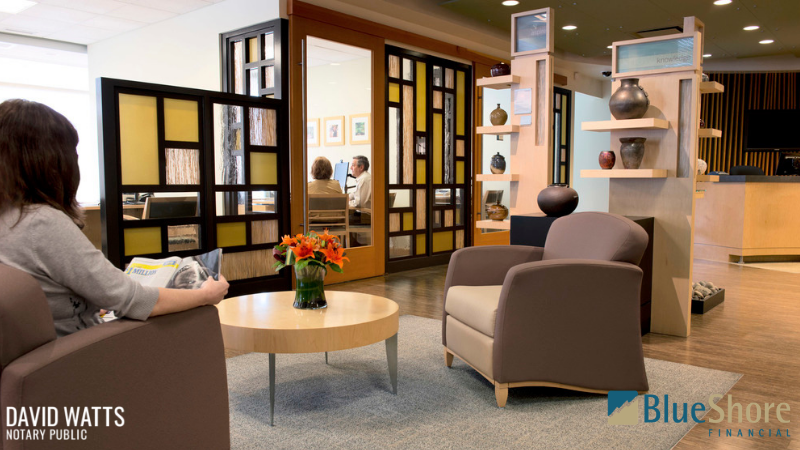 Their branch has soothing sounds of their waterfall, soft lighting, comfortable seating and refreshments. They even sell spa products such as lotions and soaps with proceeds going to BC Children’s hospital. You can take a virtual tour of their Financial Spa® here. We also love that they are a Vancouver-based credit union who donates 1% of their pre-tax profits to local charities and not-for-profits in the local community. Wishbank, one of their impressive programs is a financial literacy program for kids delivered in local schools. Flexibility – choose the right term, from 6 months to 10 years, and the right amortization (as long as 30 years). Multiple payment options – Choose weekly, bi-weekly, semi-monthly or monthly payments to suit your cash flow. Up to 15% of the original principal can be paid down each year on the mortgage anniversary date. Also, scheduled payments can be increased, on an ongoing basis, by up to 15% once each calendar year. Custom built – If a listed mortgage option doesn’t seem to be what you need, they can build the ideal mortgage solution for you. Portable – Take your mortgage with you when you purchase a new home (with qualification). Assumable – Transfer your mortgage terms to the buyer when you sell (with qualification). Waived legal fees – If you borrow additional funds or choose another BlueShore Financial mortgage, you pay no additional legal fees. Extended financing – Up to 80% of property value or up to 95% if insured by CMHC, with down payments as low as 5%. If you are interested in finding out more, phone or email, we’ll be happy to discuss.